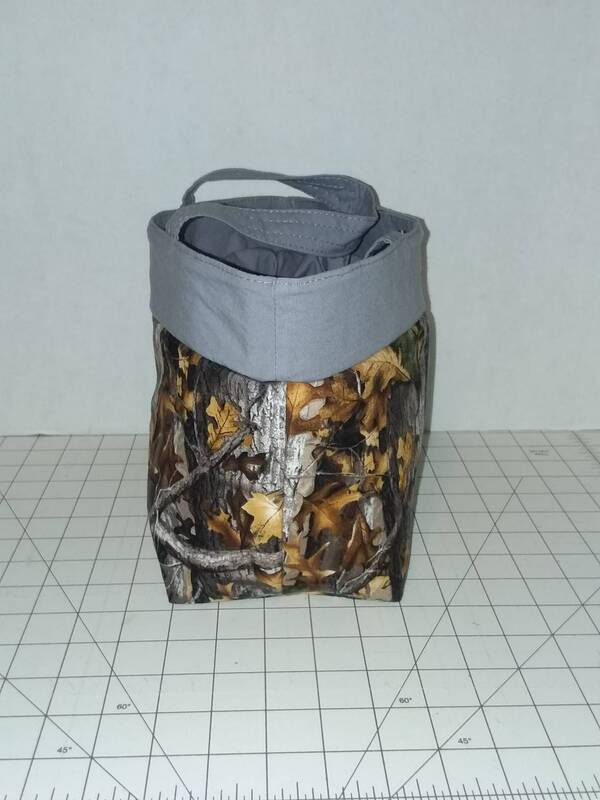 This insulated lunch bag has vinyl interior for easy spill clean up. 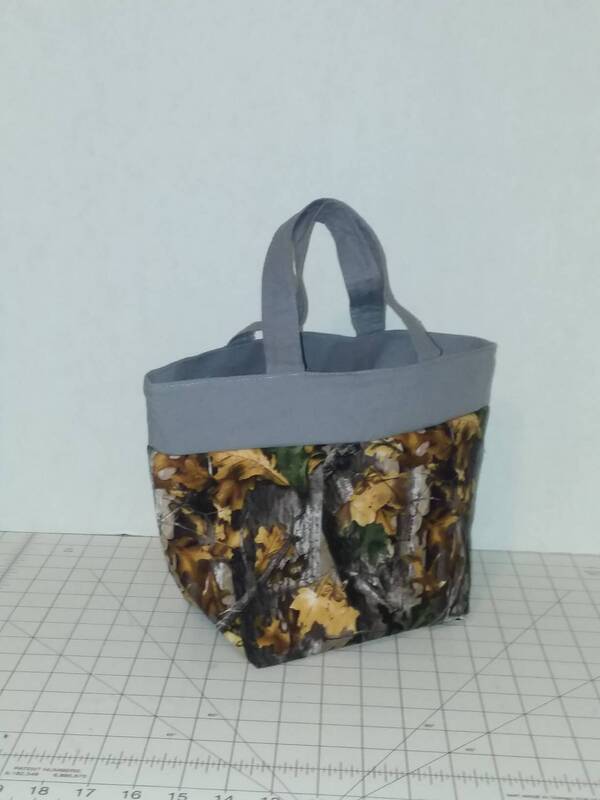 The outside sports a birch & autumn leave motif with gray accents. 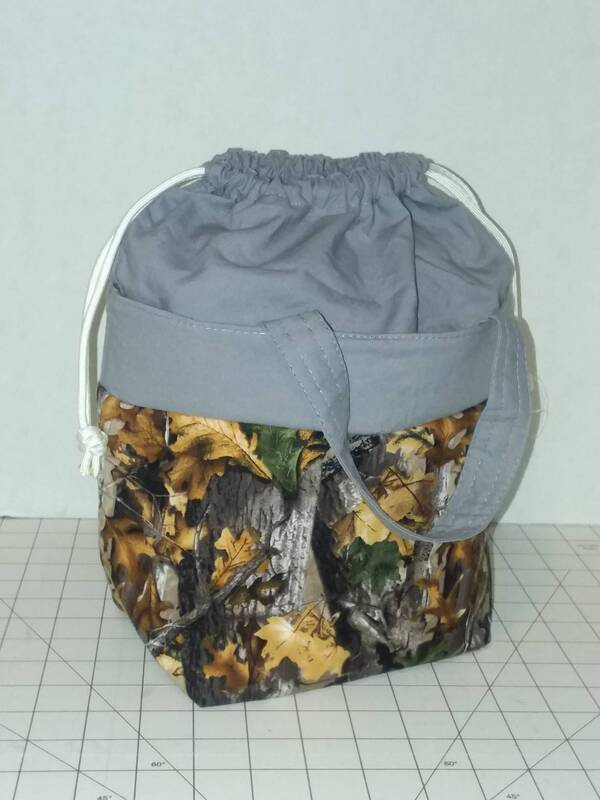 There is a drawstring "lid" that tucks into the bag when not needed but pulls out to keep all your lunch goodies from falling out. This bag can also be used as an everyday small tote. 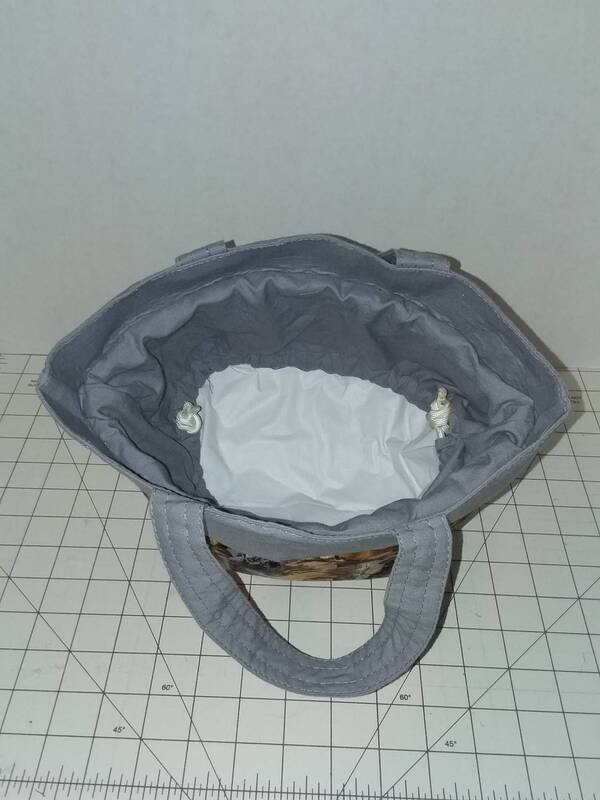 The bag measures 9" wide, 9" tall and 4" deep.